So the much-rumored acquisition of Minecraft has finally come to pass, with Microsoft buying the game’s parent company Mojang for $2.5 billion, and no doubt many people unfamiliar with the game are wondering whether the software giant has lost its collective mind. How could a single game with pixelated, low-res graphics be worth that much? It doesn’t even have spaceships! And yet, those who have seen the effect the game has on kids from nine to nineteen figure that Microsoft has effectively stolen Minecraft by paying only $2.5 billion for it. Financially speaking, the deal looks to be within the normal range for such acquisitions, at least in this somewhat over-heated tech environment, and taking into account Microsoft’s desire to expand its Xbox gaming division. Mojang had revenue of $330 million last year and a profit of $130 million, which makes the sale price about 7.5 times revenues. Many analysts say the game should fit in fairly well with the software giant’s other franchises, such as Halo or Age of Empires. For anyone who has watched a young game enthusiast actually play Minecraft, however, those numbers are secondary to the devotion — and therefore the potential future growth — involved in the game. The number of users who have downloaded and installed the game recently crossed the 100 million mark, and that figure has been growing at rates that are almost unheard of for some time, even with other massively popular games like Tetris. When I first watched my nieces and nephews and daughters playing Minecraft, I admit I was a little confused. Compared to the slick 3D graphics of games like World of Warcraft or Call of Duty, it looked pathetic — like someone had willingly gone back to playing an antiquated 16-bit game like Super Mario. Why would any gamer choose to do that? And then I actually played it, and listened to my nephews talking about strategy, and saw the things they were building. Within the game environment, they were creating weapons, and tools, and buildings. It was like object-oriented programming, in some ways: by moving items into a special area and then executing certain commands, gamers could turn wood and metal into axes, or create elaborate structures and underground dungeons and even vehicles. In fact, even calling it a game understates what Minecraft is all about: to use an over-used word, it’s arguably more of a platform. Using the Lego-like building blocks and processes that are part of Minecraft, almost anything is possible. In fact, several players have used these building blocks to construct functioning hard drives — albeit small ones — that can actually read and write data. This is inside a “game.” In many ways, Minecraft feels a little like earlier virtual worlds like Second Life, in the sense that it allows an enormous freedom for users to create. And for me, that’s where the value of Minecraft lies — in the openness of the game platform (which Microsoft will hopefully allow to continue). 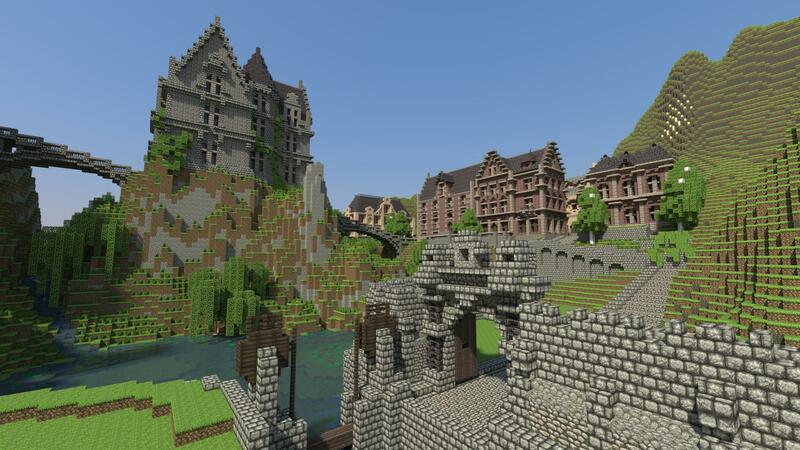 Games like Halo and Call of Duty are extremely addictive, and the virtual worlds they take place in are vast, but only in Minecraft can any player modify that world to an almost unprecedented extent. And the creativity that allows for is the addictive part, not the gee-whiz graphics or the shooting or the back-story. I’ve become a symbol. I don’t want to be a symbol, responsible for something huge that I don’t understand, that I don’t want to work on, that keeps coming back to me. I’m not an entrepreneur. I’m not a CEO. I’m a nerdy computer programmer who likes to have opinions on Twitter… if I ever accidentally make something that seems to gain traction, I’ll probably abandon it immediately. Like so many incredible products and services (including Twitter, I would argue) the success of Minecraft is a lesson in how openness — and what looks like an almost pathological lack of control — can create the perfect environment for massive popularity. To take just one example, Persson’s lack of interest in building a huge money-making product led to a laissez-faire attitude towards piracy that only served to make his game even more addictively popular. Hopefully, Minecraft’s story will encourage more developers — and in fact content creators of all kinds — to focus less on the money-making aspects of their creations and more on giving users the tools to create a community, one that can exercise its own creative impulses. That’s where the true magic lies. I feel that Mr. Mathew Ingram hit the nail on the head with this. Leave a comment, lets foster some good discussion. What’s your take on this issue? It’ll be interesting to see what happens here. Ultimately, the fact that Minecraft is, as you say, ‘not just a game but a platform for creativity’, and also a huge franchise, means it has serious money-making potential for the foreseeable future. As someone who’s just started playing Minecraft, have to say it’s said to see Markus Persson give it up. See a lot of people “poo-pooing” this purchase because they can’t understand how something that doesn’t have real-world graphics and has no plot can generate this high of a price, but those people are near sighted gamers who don’t have kids in the 7-12 age bracket. I have 3 kids in that range and Minecraft is huge. Not just the game, but the merchandizing. The kids want the toys, books, and anything else to do with creepers and endermen. I think it is a good buy by Microsoft. Just hope they don’t make it a bad buy for the players of the game. This is a great deal for Microsoft. It’s pointless to try and compare the Microsoft of Gates and Ballmer to that of Nadella. It’s just not the same at all. Satya is about the hear and now and the purchase of Minecraft shows that he gets it. It’s great for XBOX, it’s great for Windows, it’s great for phone and tablet sales. It’s great even if it didn’t help ANY of those areas. But it does. It’s a risky buy , something like this can crumble in a moment If M$ does any wrong moves. People are already at least nervous about how will M$ screw it up and it’s very easy to do so if they fail to understand the community. And too often things that rise fast also go down fast. The buy has potential but it’s risky and that has to be factored into the price. That’s a fair point — there is a risk that Microsoft could blow it, maybe even a significant risk. But I still think the game (or platform if you will) is being significantly undervalued. Thanks for the comment though. Looking at the growth rate of the application of “Minecraft” over the last three years it’s easy to see how it feels like a safe bet even from the perspective of a billion dollars-deal. My concern would be the question of how to reconcile all of the users that have already paid for their license; we’re not likely to do it again (or in my case a license for every member of my family.) A “Minecraft 2” would be possible, higher resolution, mesh smoothing, better shaders; but in order to make it a compelling purchase it would have to have vastly more content available for creation than what it’s got right now. Skin packs for $5 are great and all but they don’t really affect the underlying game enough to make me want to keep spending money to get new ones that only work as themes. I think it’s great that given two options, “Shut it all down and quit” or “Sell it off now and quit” they chose to keep the product alive. Will be really interesting to see what Microsoft does with it.